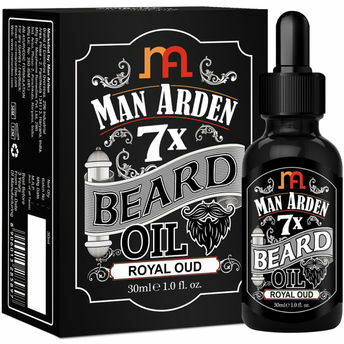 Man Arden ultimate 7X beard oil contains 100% natural and pure 7 super-ingredients that will moisturize, promote faster beard growth, soften and condition your beard, mustache or goatee and make sure that it looks and feels incredible! 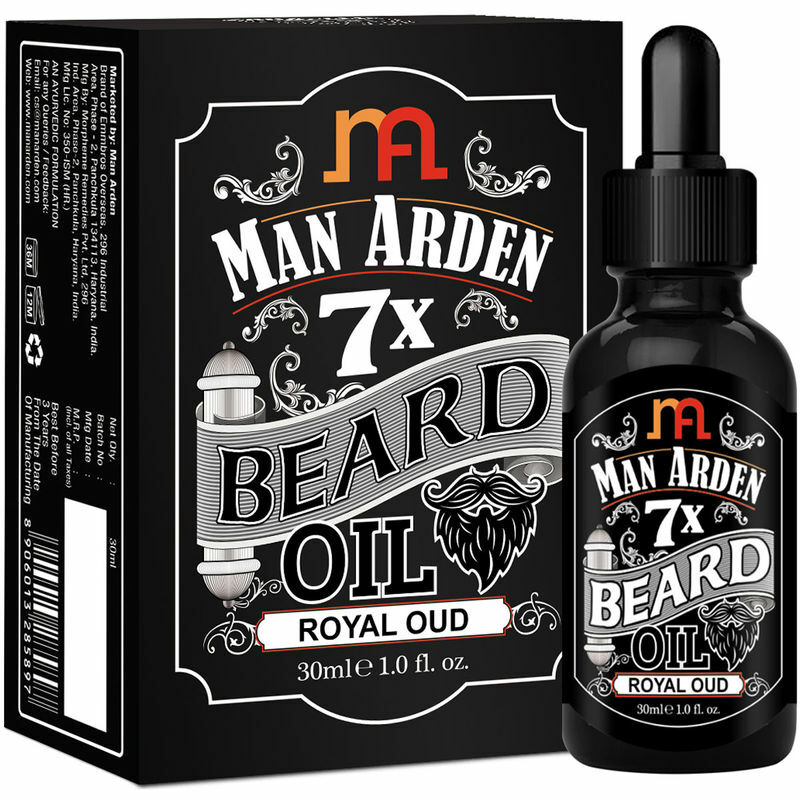 This oil is a seductive and irresistible Royal Oud blend fragrant fused with care to transform wild undernourished beards into soft, shiny and tameable ones. It promises to moisturize, treat split ends, eliminate nasty flakes, detangles hair, promote faster beard growth, add glorious shine and so much more! You can even use it on dry scalp, face or hair!